Cliffhouse is located on a spectacular peninsula on Northlands beautiful east coast. Floor to ceiling glass offers spectacular views from most areas of the house. Cliff House has over 2 km of private walking trails on the property plus a direct access to the Te Ara Roa walking trail. Whangarei Heads offers many walks and hikes over a varied and inspiring landscape. Cliff House has stairway access down to a rocky cove for a spot of exploring or rock fishing. Nearby there are numerous white sand beaches and sheltered waterways - an aquatic mecca with warm clear waters over the summer months. Large manicured grounds with open lawn areas where the kids can run and play. Petanque court with a magical view! Head to the beach with a picinic and boogie boards for hours of fun. 8 minutes drive to local food shops and cafes. 30 minutes drive to Whangarei for all amenities. We can provide easy catering with our “we prepare - you serve” offering or you can choose to have our private Chef prepare you a decadent dinner at the Cliffhouse. Please enquire re catering when booking. Family friendly and great for larger groups. Great views. Modern well equipped house built to the view. Great stay. The Cliff House has the most awesome view! The Cliff House has the most awesome view! The house itself has everything you want for a very comfortable stay. The photography really does not get close to doing this property justice. The photography really does not get close to doing this property justice. The views from Cliff House are magical. The house itself is perfectly set up for 4-5 five people. We went with teenage kids and there was enough room for everybody to have their own space and enjoy their time. A great house with phenomenal views in a brilliant location. Spectacular property on top of the cliff with gorgeous coastal views. 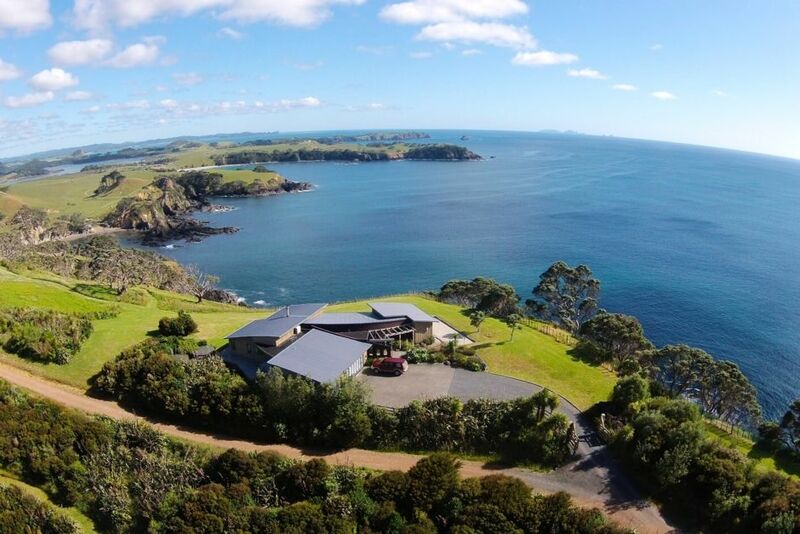 Spectacular property on top of the cliff with gorgeous coastal views. Very well equipped we didn't leave the property for the time we were there so didn't explore the wider area. A luxurious treat and recommended. They say that photos can be deceptive - very often photos of houses look better than the actual place. Cliffhouse defies that logic and no photos can do justice to the beauty of the place. Breathtaking, jaw dropping, incredibly beautiful - what can I say about the awesomeness of the views and the beauty of the place. The house itself is modern, very comfortable, very neat and well-equipped. The kitchen and bathrooms -top class. Enough place for kids to run around- would go back again.